Sculpture Size: 8.5 X 17 X 4 in. 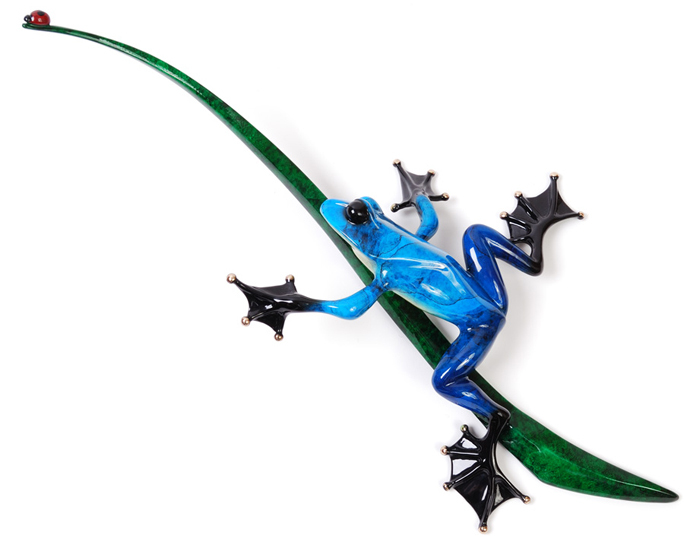 This gorgeous new sculpture features a blue frog posed above a reed, leaping towards a ladybug just out of reach. The deep, watery blue patina on the body transitions to a darker blue variation on the legs creating lifelike dimension to the sculpture. Upon a wall, one imagines this frog among low-hanging Spanish moss above the water.